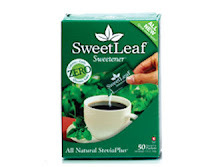 Become a fan of SweetLeaft Sweetener on Facebook and you can get a free Pocket Pack. You won’t see the offer until after you join the page. Once you become a fan, just click where it says, complete the form and you will have your mailed to you within 14 days! And don’t forget to become a fan of KC Penny Pinchin’ Mama once you get to Facebook!